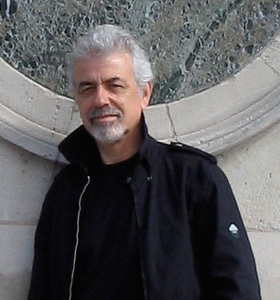 Charles Agapiou came to the United States from London in 1961. He joined the staff of Ken Miles Ltd in Hollywood as a mechanic. Shortly after Ken was hired as a test driver for the Carroll Shelby Racing Team, Charlie joined him at their facility. He became a chief mechanic and crew chief during the team's pursuit of the World Championship for GT cars, first with the Shelby Cobra Team and later on with the GT 40 program in conjunction with Ford Motor Co. In 1976 Charlie opened a Rolls-Royce and Bentley service facility in the San Fernando Valley and encouraged by his success moved in 1984 to a location on Santa Monica Boulevard in West Hollywood. Because of the facilities proximity to the entertainment industry, Charlie rapidly became the chosen destination for many Hollywood celebrities. Under Charlie's guidance this business has become the pre-eminent independent Rolls-Royce and Bentley sales and service business in the Beverly Hills area. In the 33 years at this location Charles Agapiou Ltd. has become internationally known as a source for collectible Rolls-Royce and Bentley motor cars executing customer service to the highest standard.